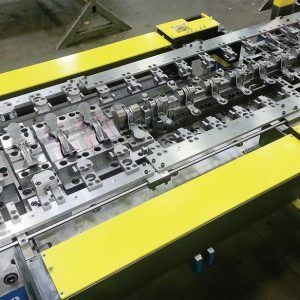 Not to be confused with progressive dies, transfer dies refers to the process of stamping one material, transferring it to another station to be stamped, and repeating this process via a mechanical transfer process. This technique allows for more complex operations and efficient production. Transfer dies allow for a capacity much wider for large sized dies, over 100” by 300” at most facilities. The automotive industry, in particular stands to benefit greatly from transfer dies. You can accomplish very accurate representations of complex designs, thanks to the precision dies. Unique projects do not need to worry about typical limitations of other manufacturing processes, even progressive dies. If a design calls for a custom solution that cannot be mass produced with existing techniques, then transfer dies are going to provide your best bet for a long-term solution that is still cost-efficient. Just because transfer die stamping is a multi-step process, this doesn’t mean it is marred with lower volume capability. Performance is always going to be reliable and fast, not just a higher quality. 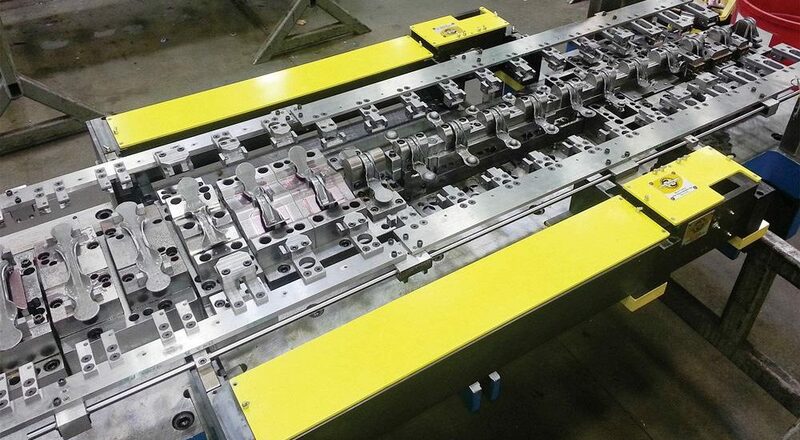 Trained transfer die stamp operators prefer this manufacturing application for unique structural components, custom bodies, and cutting-edge automotive parts, for example. Look for companies that employ ISO and Q1 certified staff. This keeps you covered if there was ever any question in the competency of the operators dealing with your specifications. Experience is invaluable when it comes to custom transfer die manufacturing. You don’t want to have to waste time explaining your needs and expectations, it should just be standard. Customer service is another big aspect that should not be overlooked, either. Production values are one thing, but having an unruly or unprofessional company can really lead to a lack of certainty or confidence in an order, which is something that can get in the way of managing things. Research the best transfer die manufacturing candidate online, starting with kktooldie.com. Get a good feel for how their qualifications and reviews speak for who they are as a business. A manufacturing partner needs to be trustworthy, not just affordable.